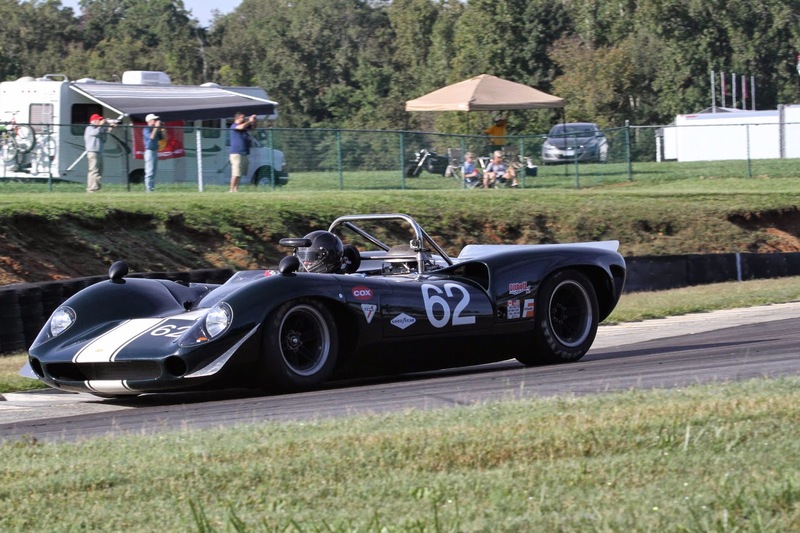 SVRA wraps up with 2014 vintage racing schedule with its premier event at Virginia International Raceway. Mike Matune brings us highlights. 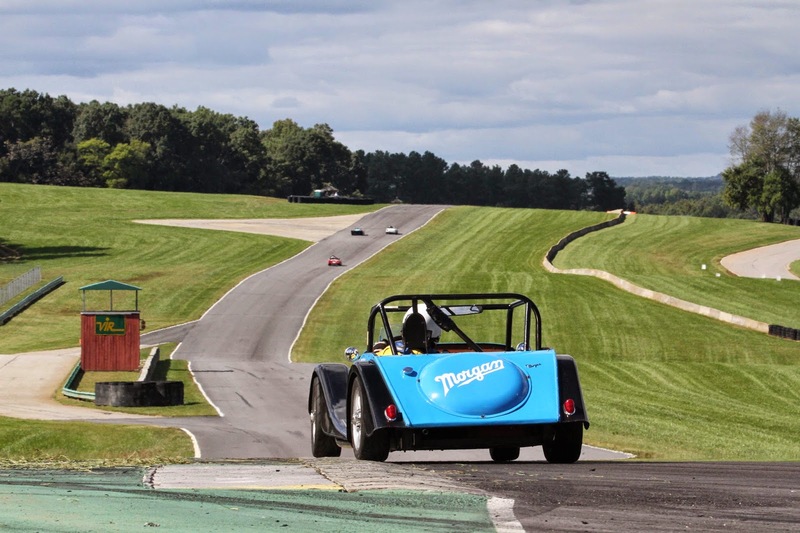 As Summer fades and the racing season begins to wind down, SVRA draws us to Southern Virginia and Virginia International Raceway (VIR) for the annual Heacock Gold Cup. Here Mike Fisher, top, sweeps under the vehicle bridge in his ex-Derek Bell Speedvision Cup Audi S4. Peter Dunn exits Turn 11 in his Morgan, above, chasing the other Group 3 runners down the back straight. 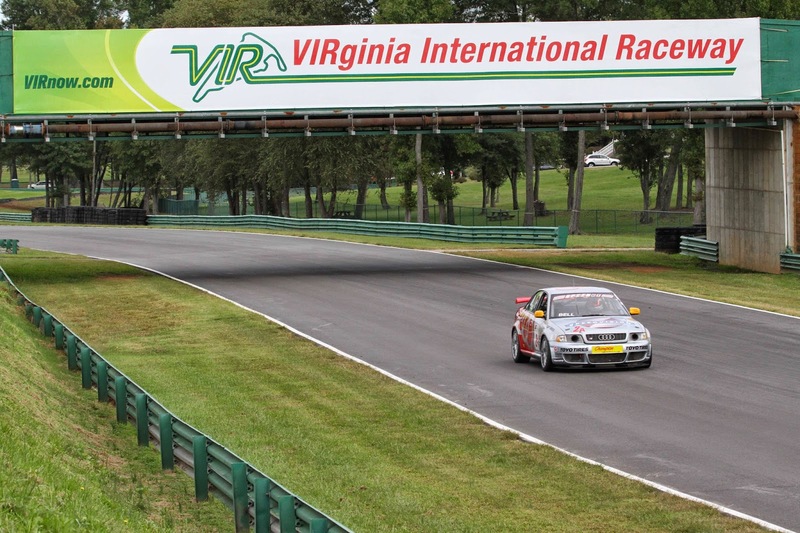 This gives you a better feel for VIR with its meticulously manicured building and grounds. The 3.27-mile circuit never stops moving whether it’s up and down or side to side, mixing high and low speed sections. 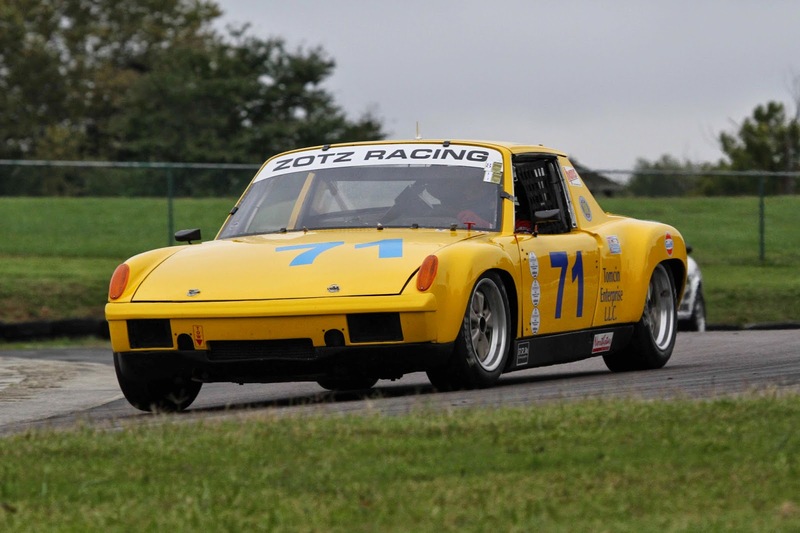 We had to feature Tom Briest’s Porsche 914/6 when we heard that the Porsche 914 would be celebrated at the Amelia Island Concours d’Elegance this coming March. At long last, the oft-maligned Porsche will get its due. driven by Kurt’s father, Dale. 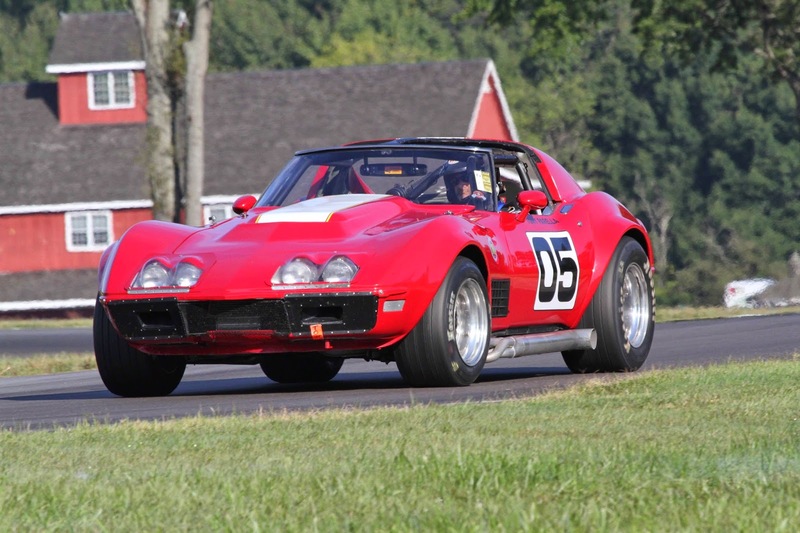 SVRA President Tony Parella ran his Corvette in Group 6 at VIR. He split duties with Dave Nicholas who had “holed” a piston in his very quick MGA, Honey Bee at Watkins Glen and was without a mount. This is Tony in Turn 5. Tom Shelton’s Lola T70 brings back memories of the USRRC/Can-Am days. My eye was drawn to the “Cox” sticker on the car. Cox was a hobby manufacturer who figured prominently in the slot car craze of the 1960s. They produced some great scale models of significant racecars of the time and sponsored Jim Hall’s Chaparrals. There are many opinions about what constitutes the Golden Era of American racing and there are many candidates for the title. 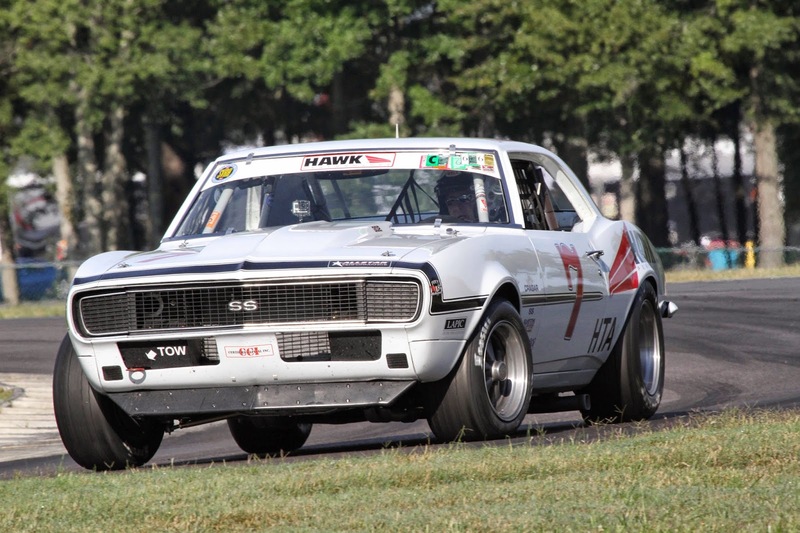 Among them is the SCCA’s Trans-Am series of 1966-1972, where manufacturers along with top builders and drivers ran flat out on circuits across the U.S. & Canada. Ivey Shannon’s converted street Camaro invokes memories of the early Trans-Am. 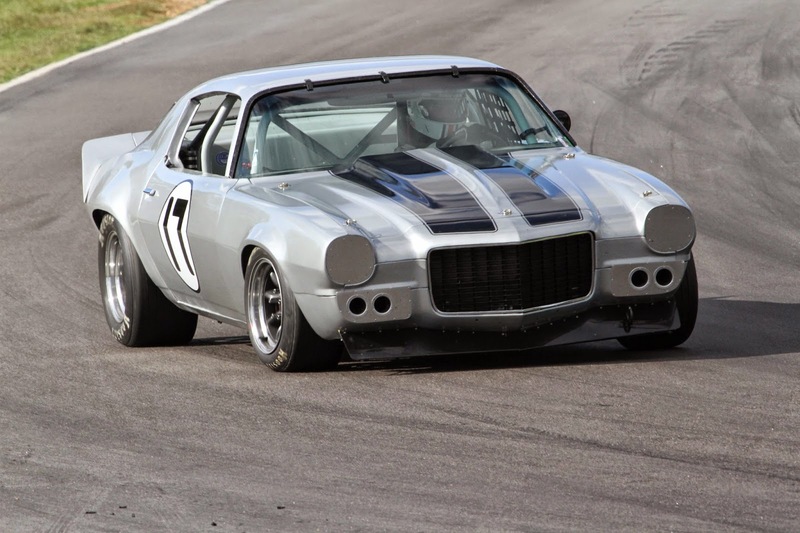 Sean Ryan’s ‘71 Camaro was originally built and campaigned by Frank Search in both the Trans-Am and SCCA sedan racing, it has been brought back to life by Ryan and his father who race under the banner of Unfair Advantage Racing. 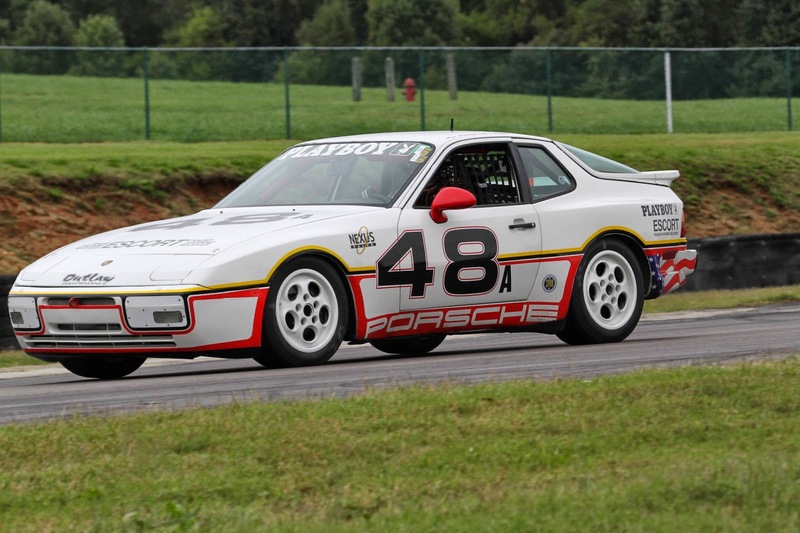 The current SCCA Trans-Am series shares the program with SVRA’s vintage racers at VIR. 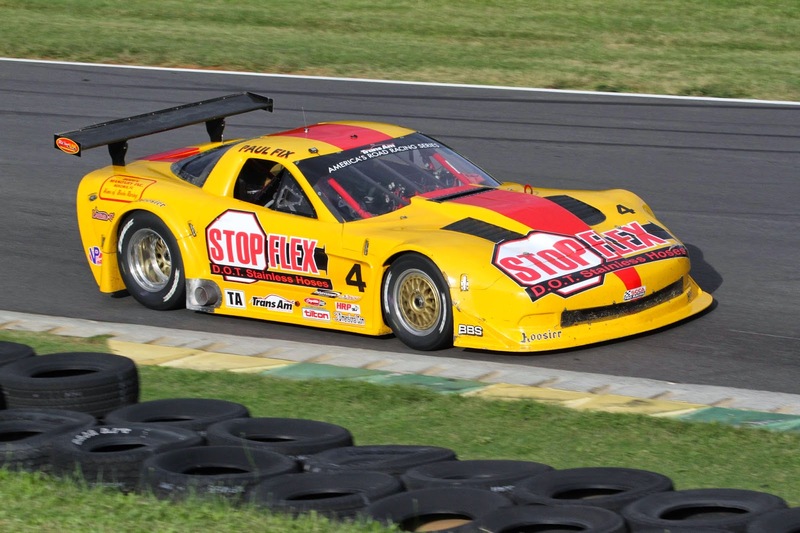 The top of the Trans-Am class are the TA cars, tube frame racecars powered by 850-plus horsepower carbureted V8s. While car specifications are limited in some ways, the use of one-off components and exotic materials are allowed. 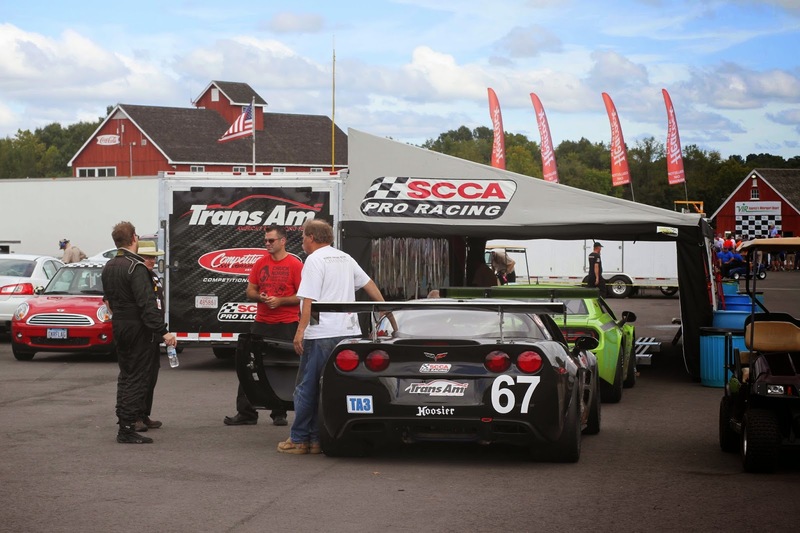 Here is the overall VIR Trans-Am winner Paul Fix in his Corvette. 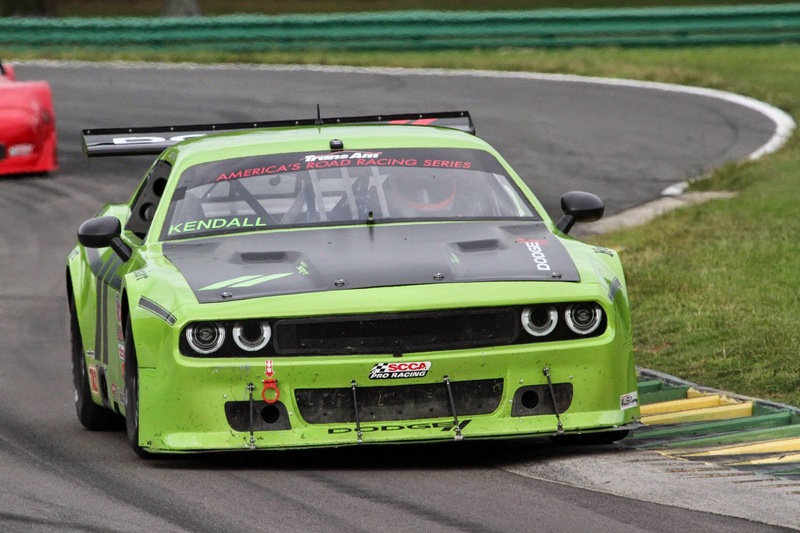 The next rung on the Trans-Am ladder is the TA2 cars. These are also V8-powered tube frame cars, but with component design, manufacturers and costs controlled. Bodies and engines match, with power limited to the 500-horsepower range. This is Tommy Kendall’s Challenger. The car’s paint scheme is reminiscent of the Sam Posey-Ray Caldwell Autodynamics Challenger of the 1970 Trans-Am season. This brings us the TA3 cars, divided into A (American Muscle) and I (International). These cars retain more of their production car roots and comply with SCCA GT2 or NASA American Iron rules. Horsepower and power-to-weight ratio are further controlled. 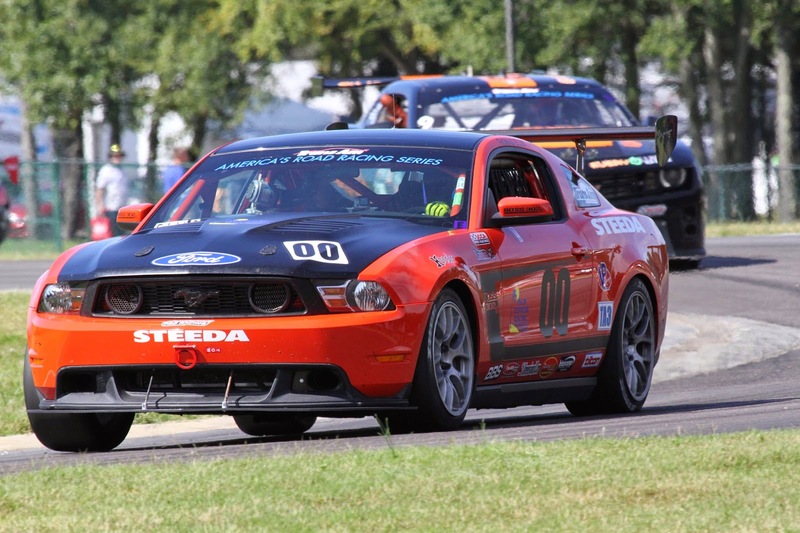 Thomas Ellis’s Mustang illustrates cars common to this class.